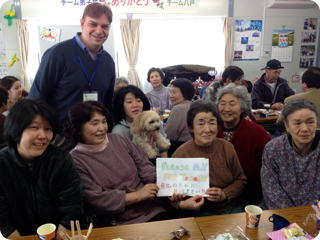 This past March 12-14, three of us from Denen Grace cooperated with the our church group's Green Ribbon Campaign volunteer work in the tsunami affected area of Tohoku. Yes, there was plenty of snow in the area and not intended for normal tires. 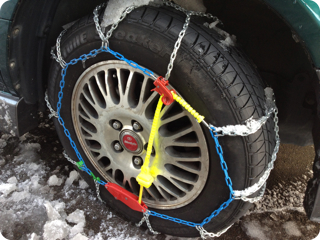 Our "EZ on-off" chains were be no means easy. After some work we managed to get them on the tires and get on our way. 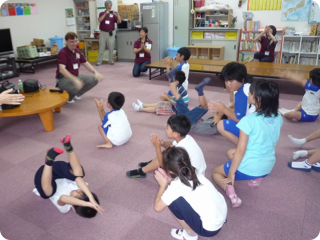 Lesson learned about "spring in Tohoku." 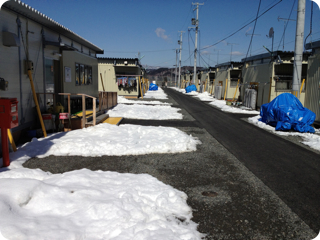 Taro area temporary housing areas. 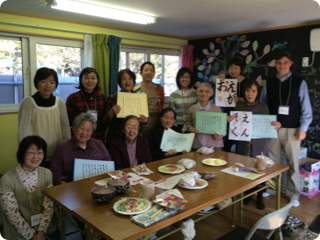 Thirteen of us worked together to offer the residents a "Mobile Cafe." This was a chance for them to get out of their small living quarters, mingle, talk about their experiences and challenges, and get a great cup of coffee or tea. Thank for praying for us. 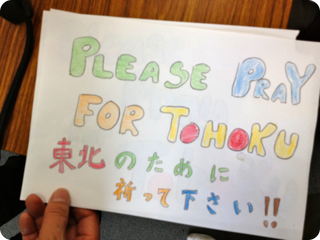 Let's keep praying for Tohoku and ask God to bring emotional and spiritual healing. 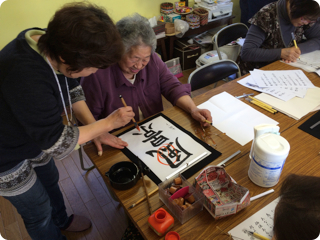 God loved Taro before her history began. He wept alongside them in their three tsunami tragedies. He is loving Taro now through his people: talking with residents, delivering food items, offering to pray, asking about their needs, and playing with children. I like to think that we were the hug of Father God for brokenhearted people. It was so easy to do and felt great.